Mako Koyama-Hartsfield studied at the University of Kyoto, Japan and received her M.A. from Columbia University. 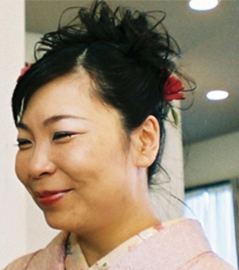 She has taught Japanese as a second language at the University of Virginia and the University of Massachusetts Amherst for over a decade at all levels of Japanese. Her teaching interests include second language acquisition of Japanese, Japanese language pedagogy, and Japanese linguistics.